But what if we have it backward? 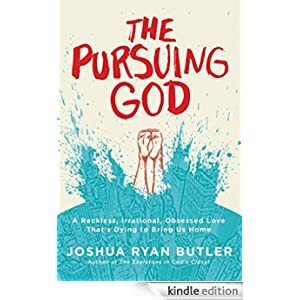 What if God is the one pursuing us? What if our job is not to go out and find God, but simply to stop running and hiding? Not to earn God’s love, but to receive it? Jesus reveals a God on the prowl, pursuing us, hunting down his world for reconciliation. And the question we’re left with is not whether we’ve pursued hard enough, searched long enough, or jumped high enough . . .
Buy this inspirational book for only 99p today.